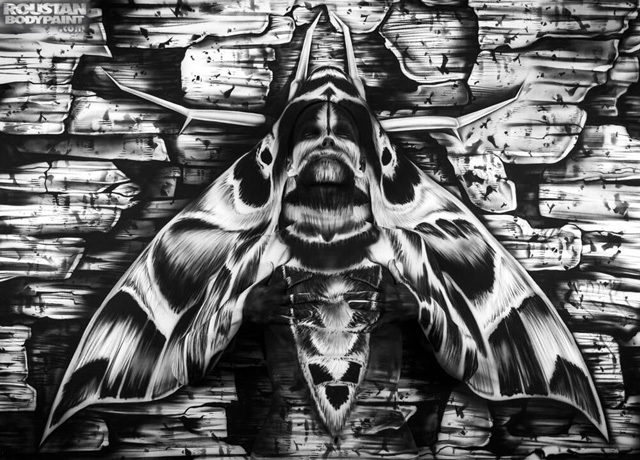 Artist Paul Roustan used his astonishing mastery of body painting to conceal a woman in this illustration of a Pandora Sphinx Moth. This video and the GIF below reveal where she’s hiding. Roustan has much more amazing body painting work on his site.